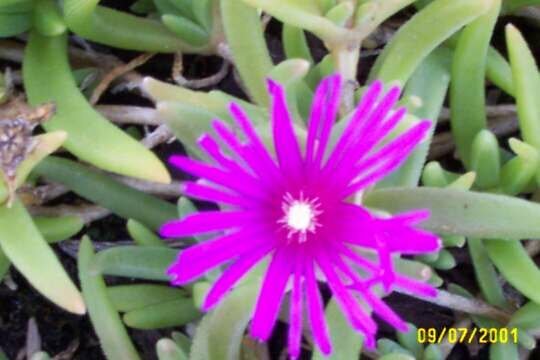 My daughter bought me a small little 2" plant this past spring, this plant thrived in my garden and bloomed up till frost in November. 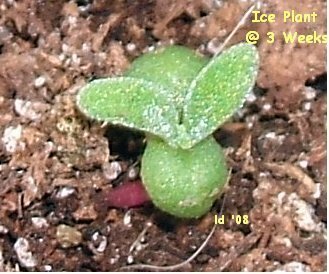 As you can see my tortis has made a path through the ice plant! 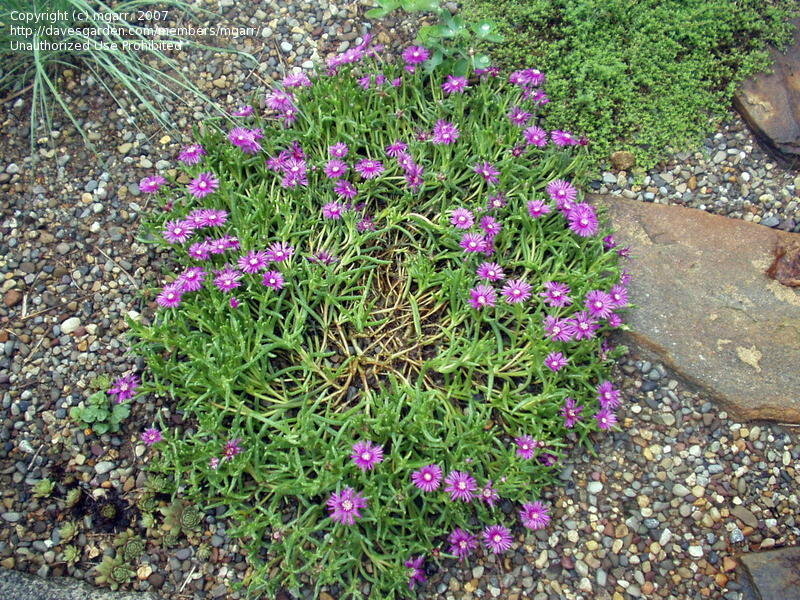 This plant has been happily growing for 6 years in my garden. 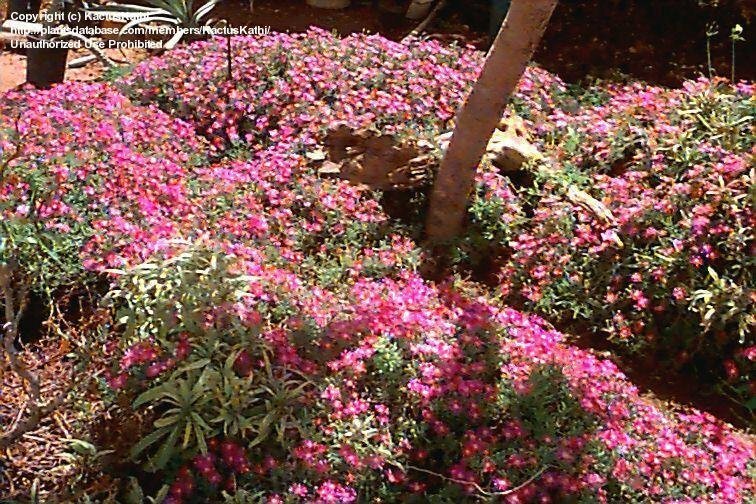 Many many blooms. 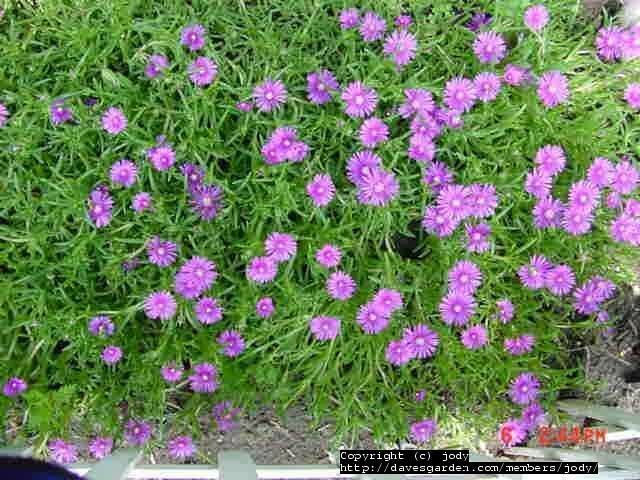 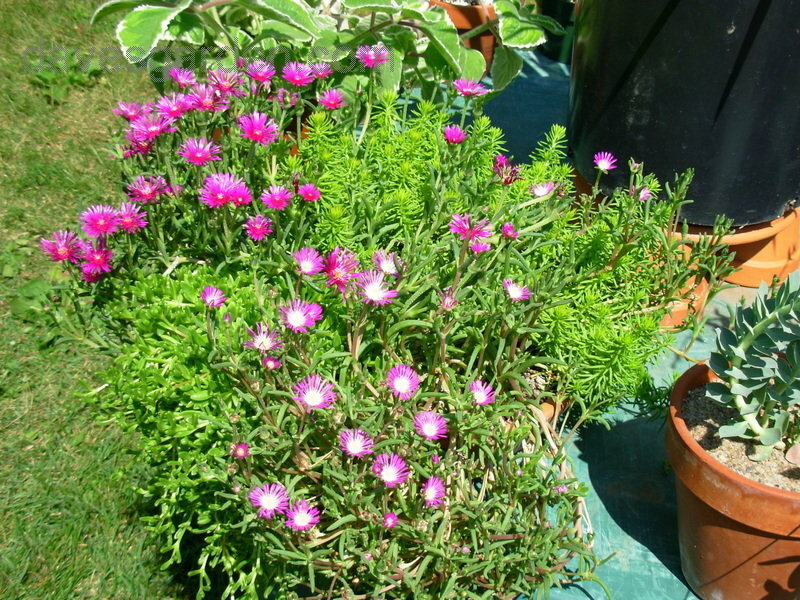 To keep this plant happy it need very good drainage. 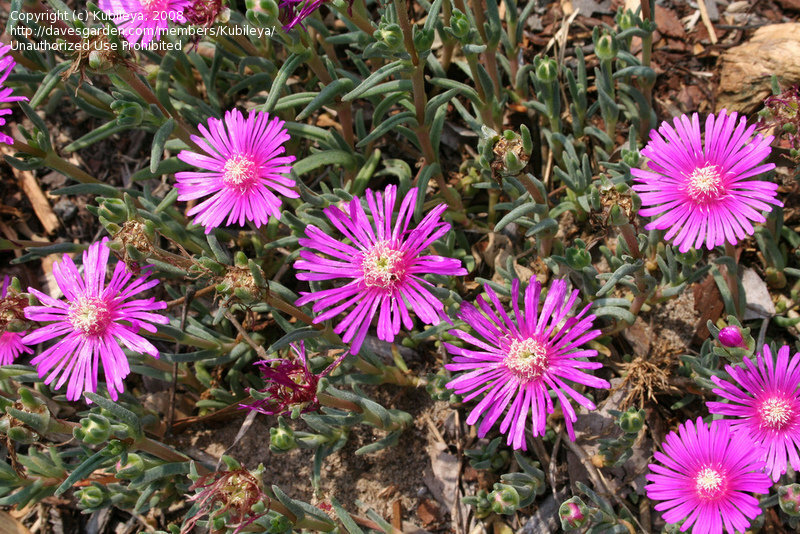 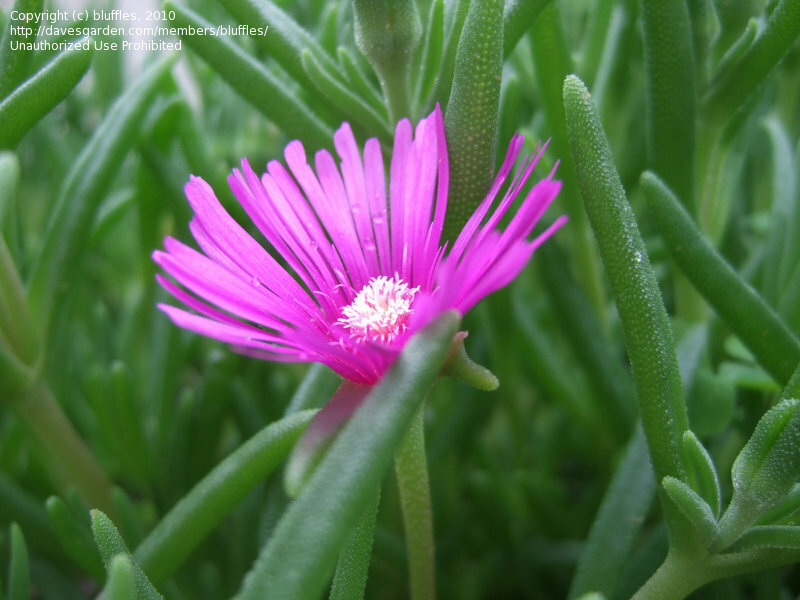 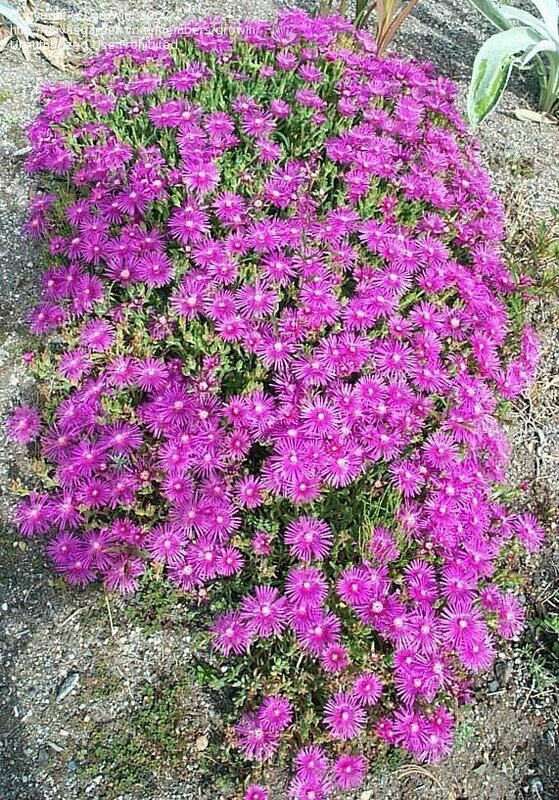 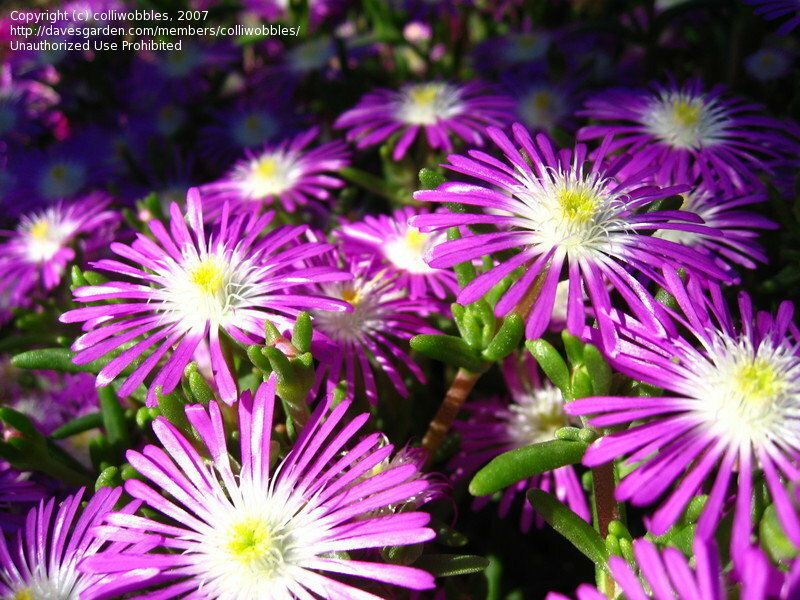 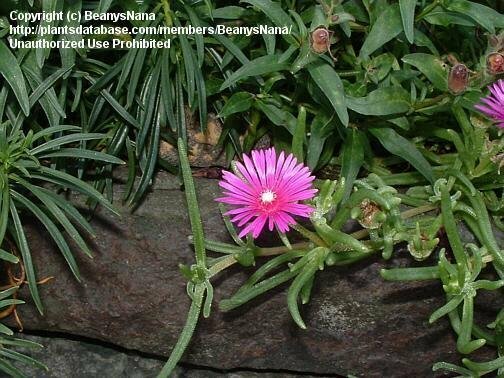 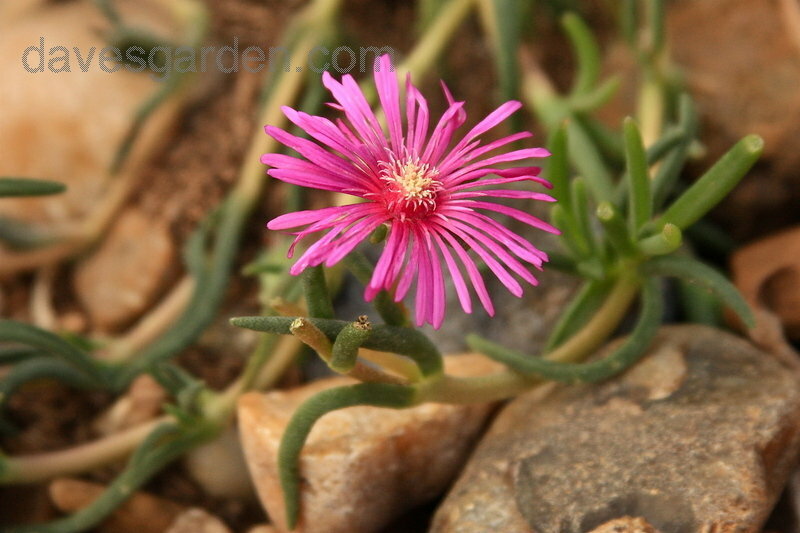 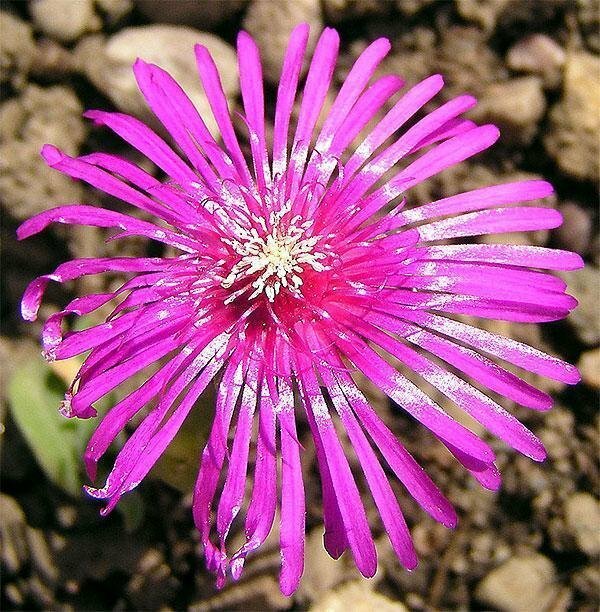 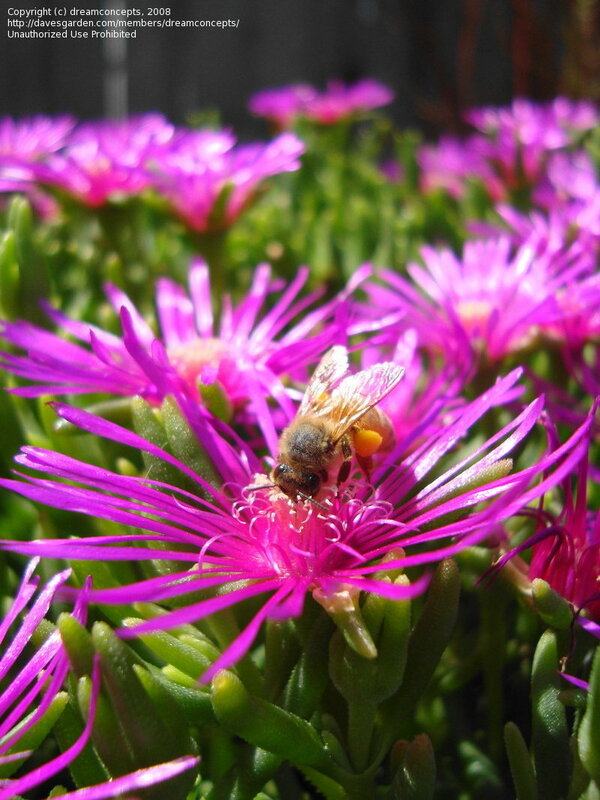 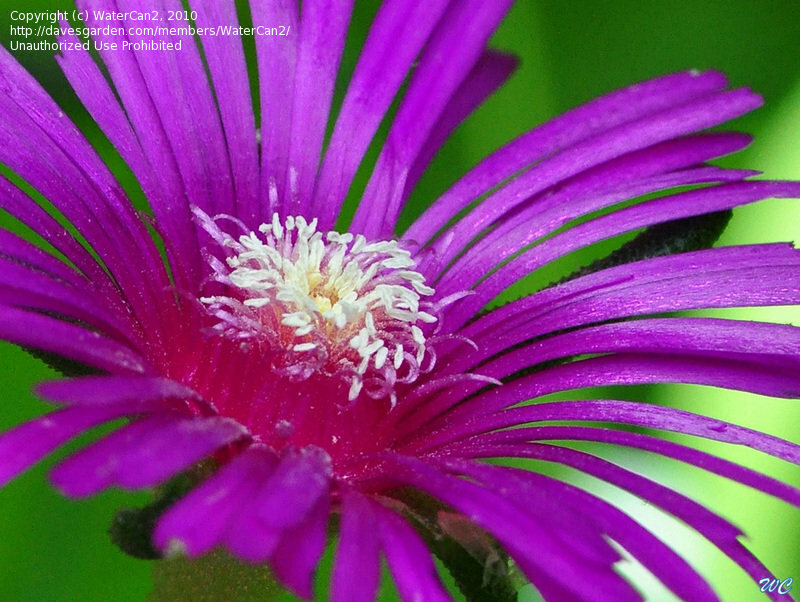 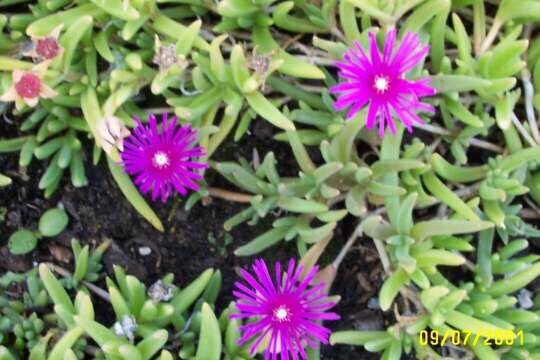 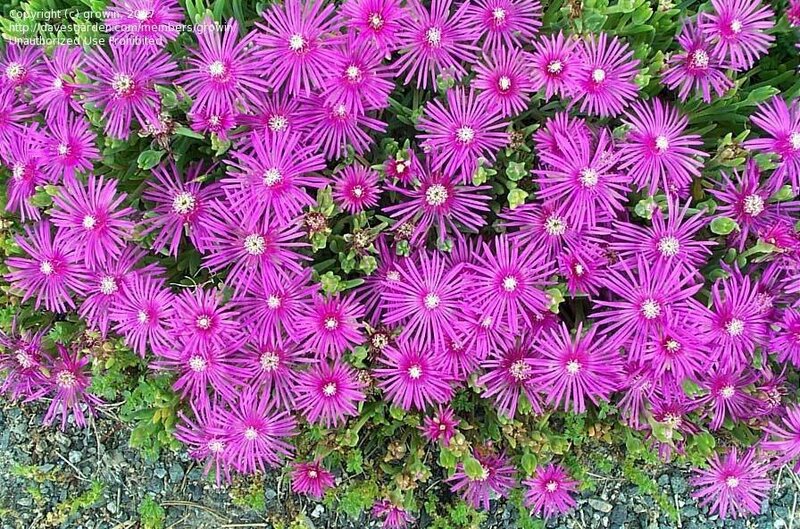 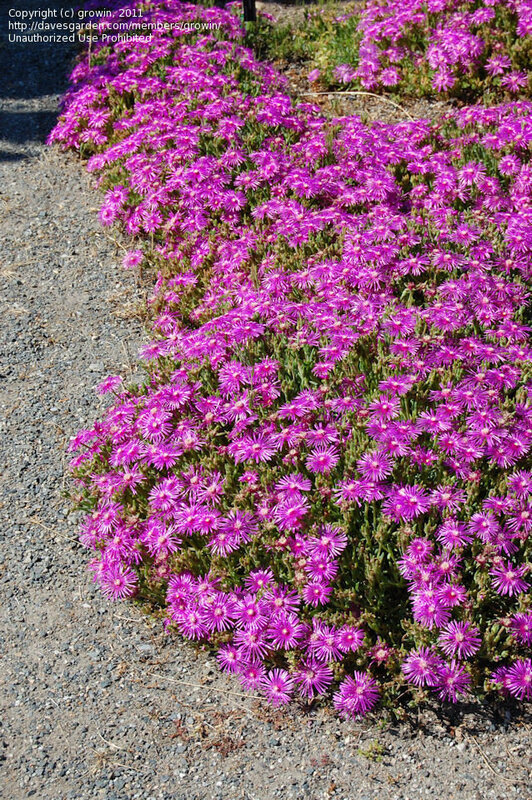 Here's a closeup pic I took of ice plant on the California coast at Big Sur. 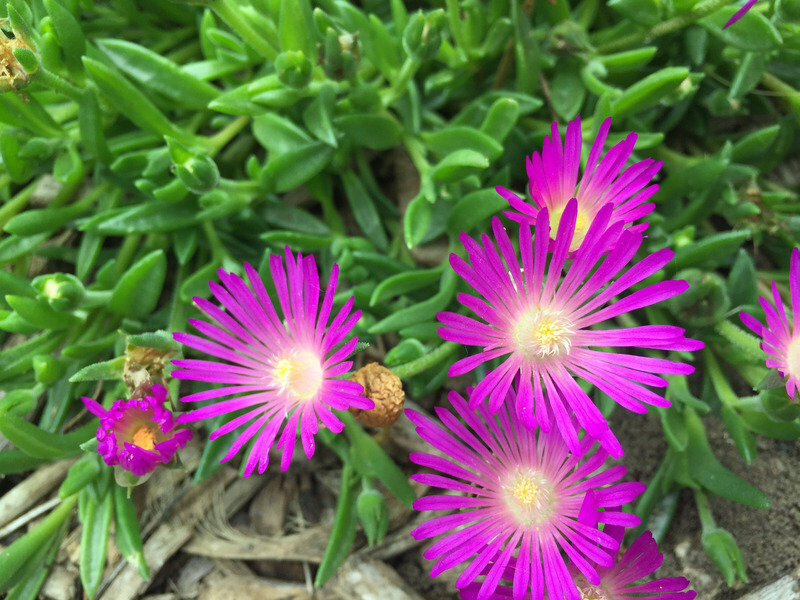 I am am from Georgia and took this while on vacation there. 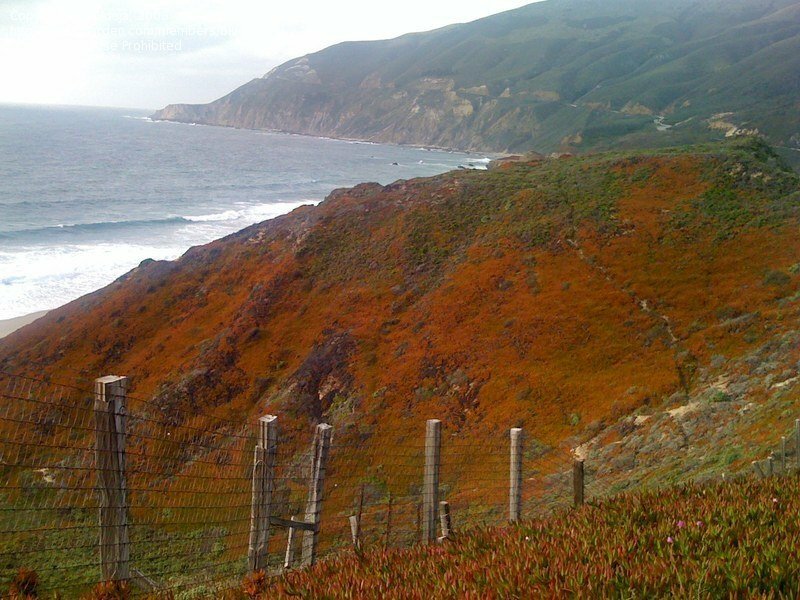 The "red" of this hillside at Big Sur is the the leaves of the ice plant taking over there. 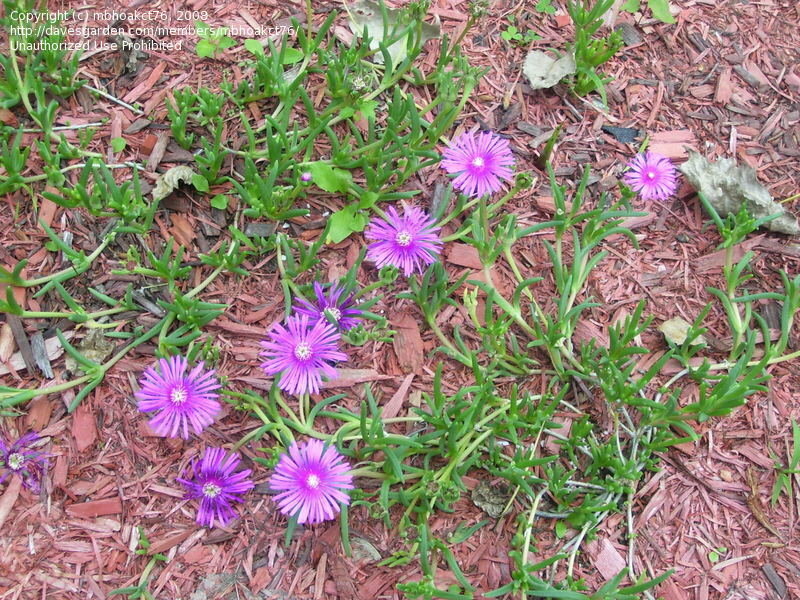 I cut some from the roadside to grow in Georgia and it is doing well here. 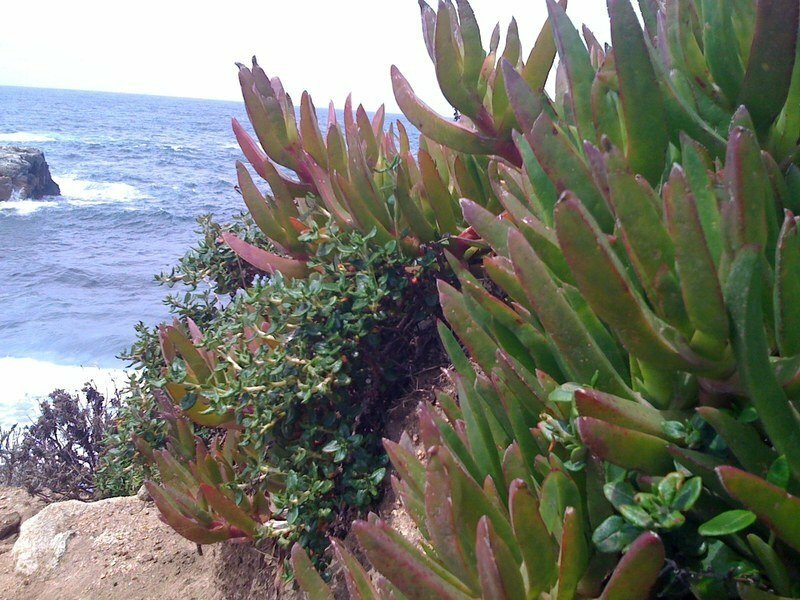 Huge field of D. cooperi on a La Jolla cliff. 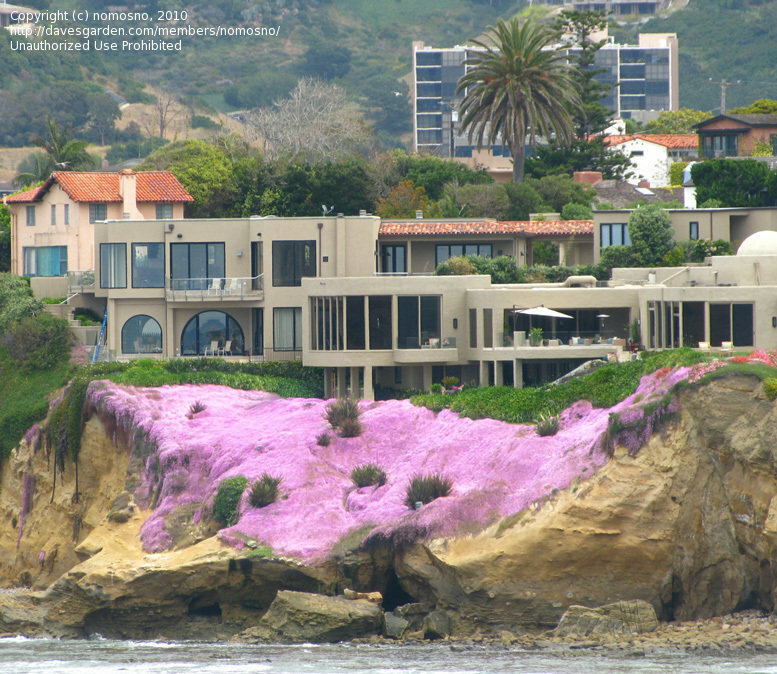 Photo taken across LJ Cove with telephoto lens on May 8th. 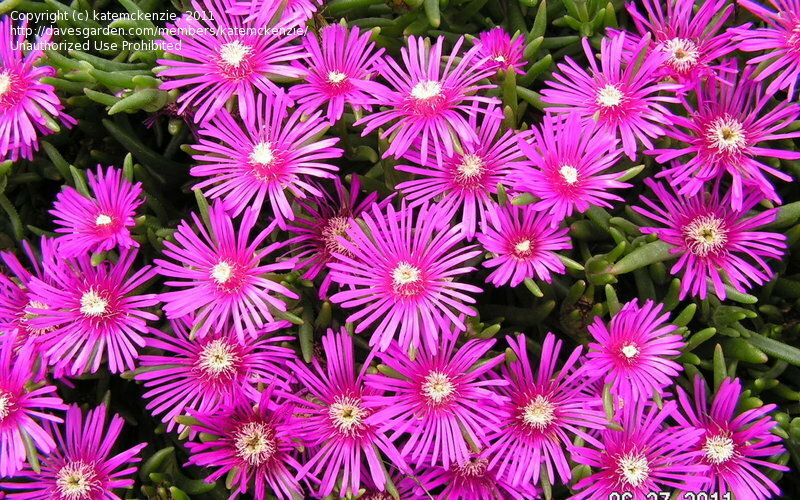 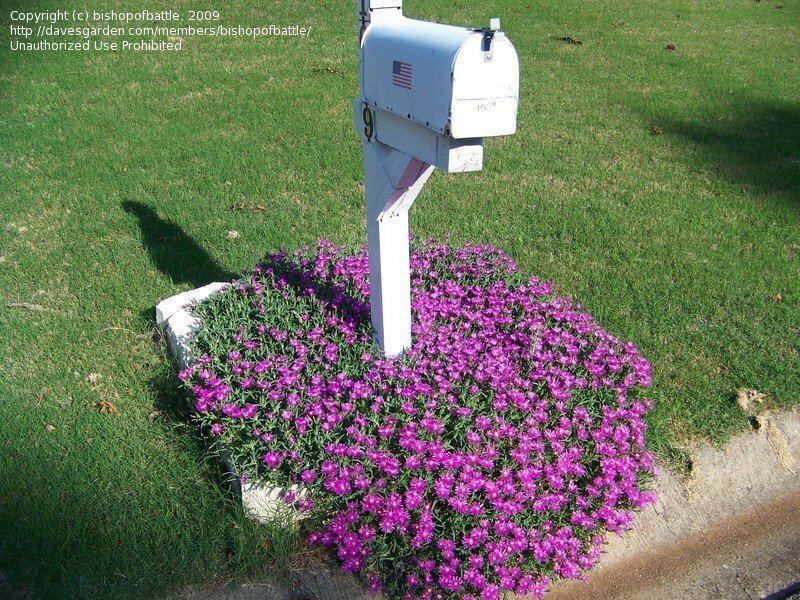 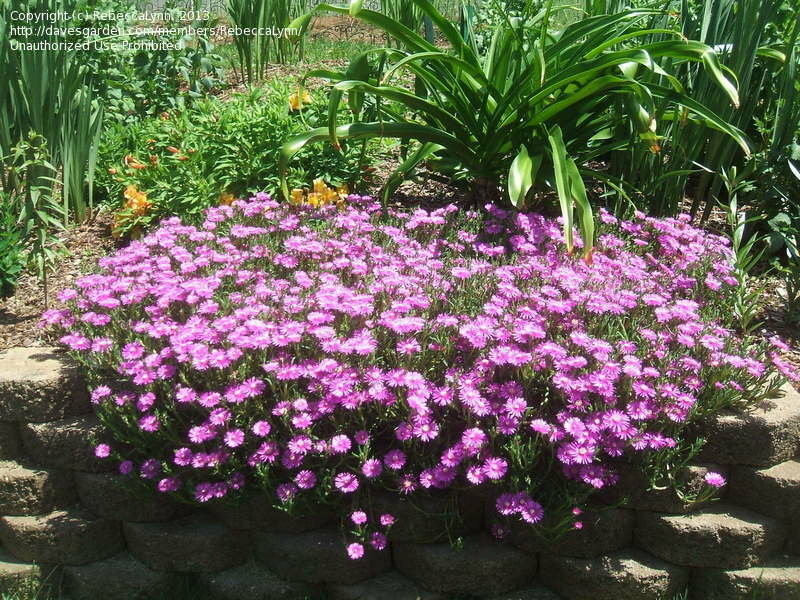 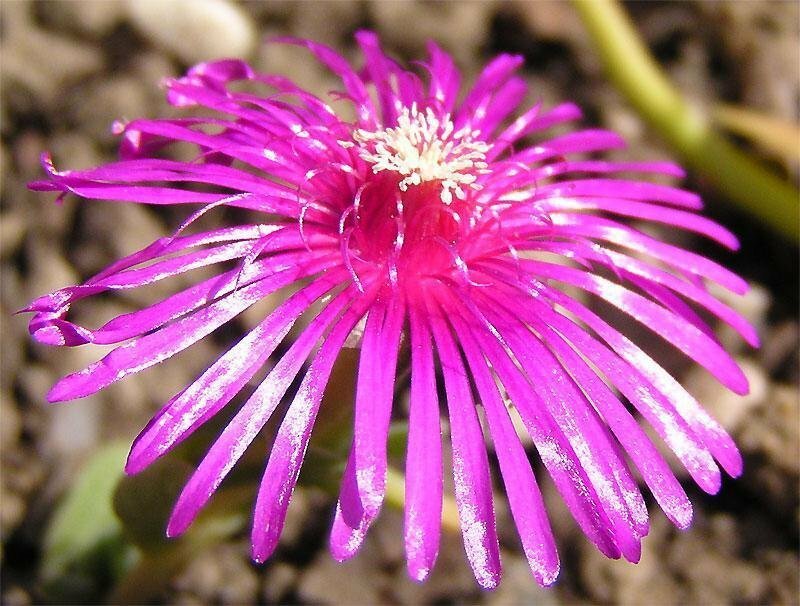 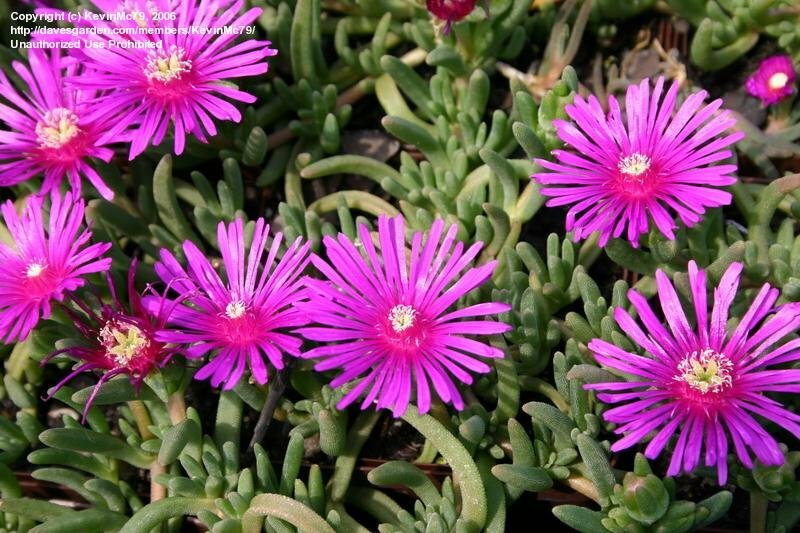 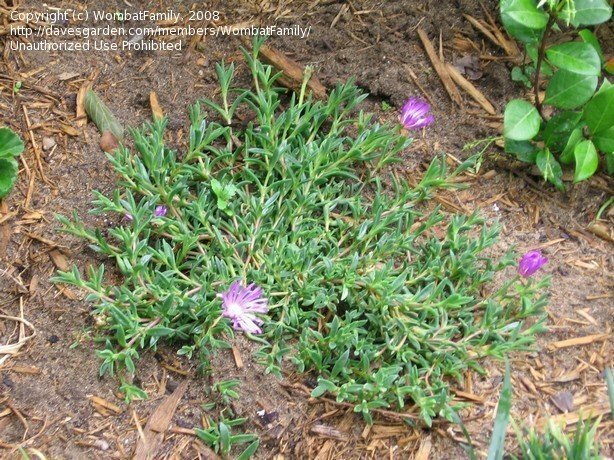 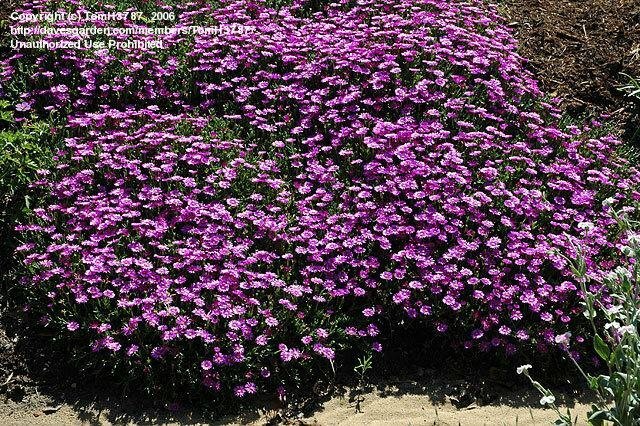 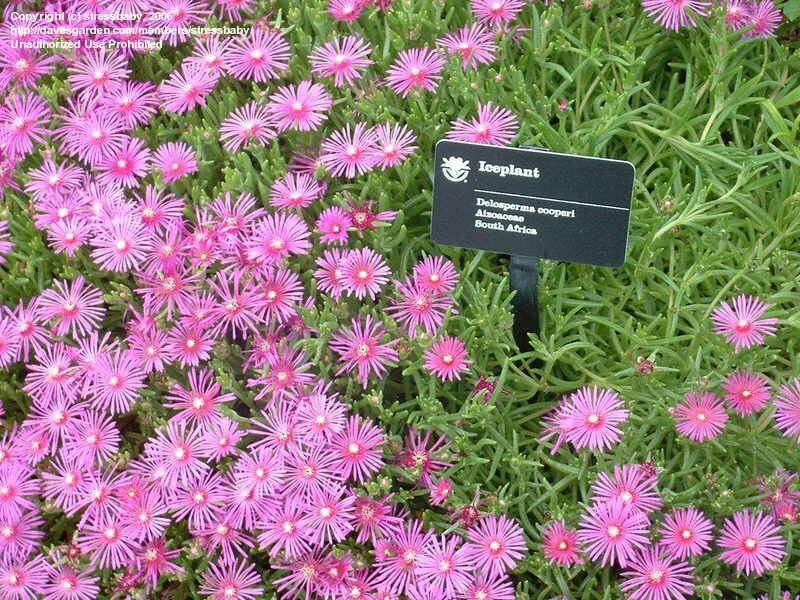 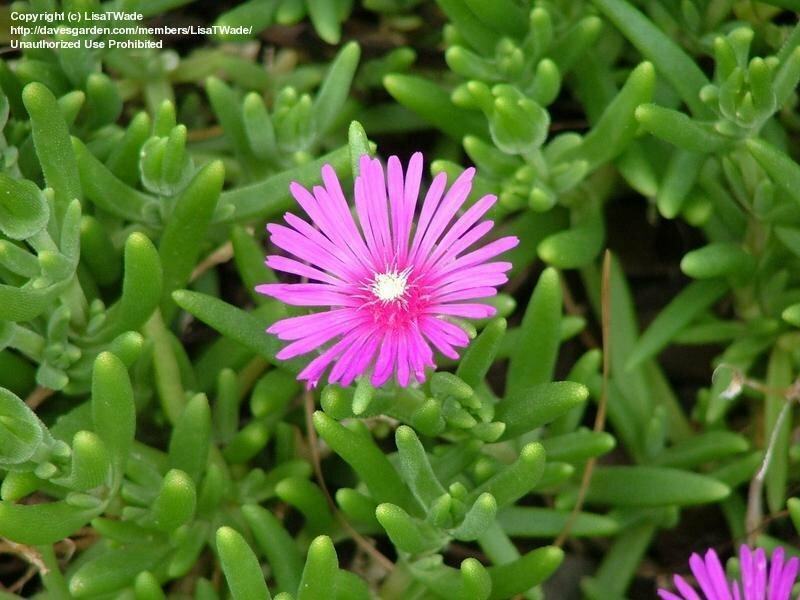 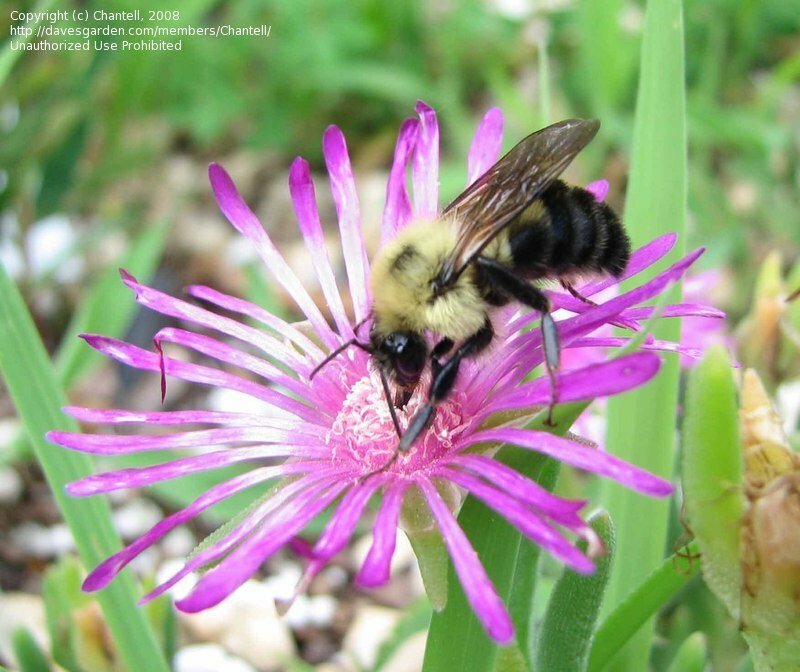 The ice plant cometh every spring to delight the eye.